Hi! This is the website for Simley High School's Be Your Dream Afterschool Program. We're just getting started so what you see today, may be different tomorrow. Feel free to comment on our site through our blog. Have a GREAT day! It's yours, go claim your Dream! Be Your Dream! 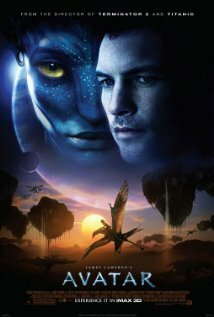 The phrase "I see you," was used regularly by the Na'vi people. What does that statement actually mean as you interpret it? In other words, what does it mean for someone to "see" you? What does it mean when you "see" others? The RDA (the mining corporation) is mining for a precious metal called, unobtainium, on the planet of Pandora. For this metal, they are willing to kill, displace and destroy the natural resources to get it. In light of recent events such as the Walmart factory fire in Bangladesh, how important is it for you to know what price is being paid for the material things you have? Other examples: blood diamonds, Nike sweat shops, the violence in the Congo over the mineral ore coltan used to manufacture cell phones. Is the displacement of the Na'vi comparable to any events in history, past or present? If so, what event(s)? Why do you believe movies such as Avatar (2009), Dances With Wolves (1990) and The Last Samurai (2003) focuses so much on the outsider's story? Or told from the foreigner's perspective? I personally enjoyed the wonderful insights that you all shared; stories you told and the excellent points you raised. Ok Dreamers, that's all for now. Have a wonderful day! Because of the low turnout of the Thursday class, they have been discontinued. I realize that with spring, driver's ed and tutoring being significant factors, it was going to be a tough climb. Tuesdays, however, will continue until June 4th. Take care Dreamers. Please visit the website for more updates and new college & career prep information and material that will aid you in mastering your more difficult classes.